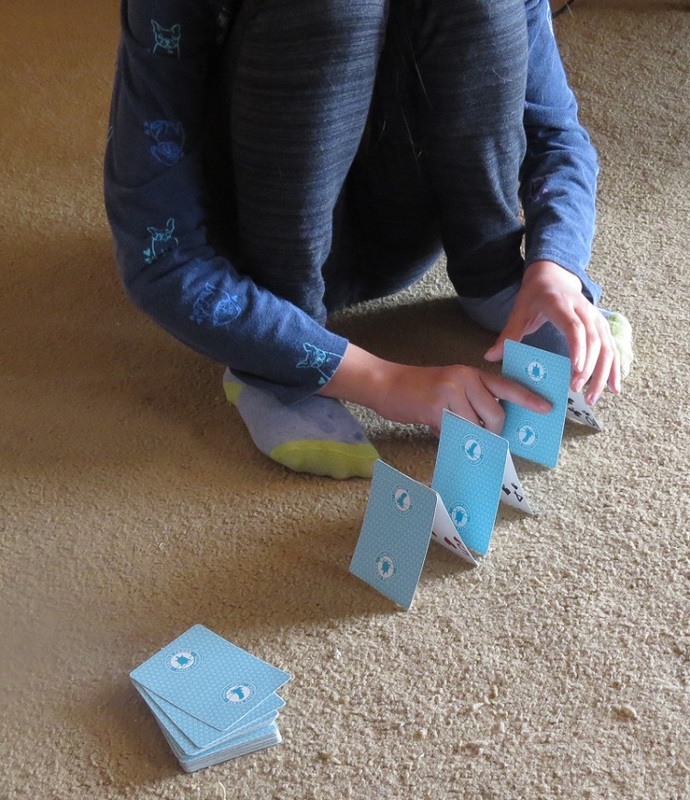 Even though PB & J Girl is a kinesthetic learner and loves hands on activities, we haven’t had the chance to use many STEM activities in our homeschool. That changed recently when we tried out Tied 2 Teaching‘s STEM Activities, Full Year of Challenges with Close Reading. The creator behind Tied 2 Teaching is a math teacher who teaches 4th to 8th grade. He and his wife also homeschool three of their four children (the youngest is just a toddler). This product came as a download and contained more then 70 challenges. When using this product, you can choose the challenges that fit with your current homeschool curriculum, or you can choose by month. Many of the activities are seasonal. For instance, in March, activities include Build a Leprechaun Trap, Build a Rainbow Bridge (both for St. Patrick’s Day), New Hat for Cat Challenge (for Read Across America), and Basketball Tower. 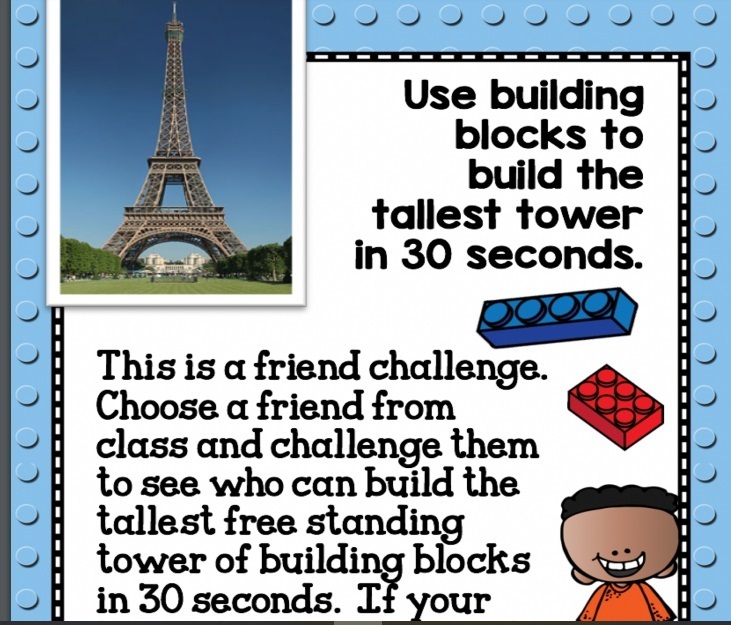 The challenge itself comes next–use building blocks to build the tallest tower in 30 seconds. There are forms for kids to fill out before actually doing the activity to include pre-planning details, and to fill out after they’ve completed the activity to state what they did and what they learned. We didn’t follow the seasonal activities and instead worked on the STEM challenges that most interested us or that related to what we were studying in our curriculum. A favorite was the House of Cards challenge. 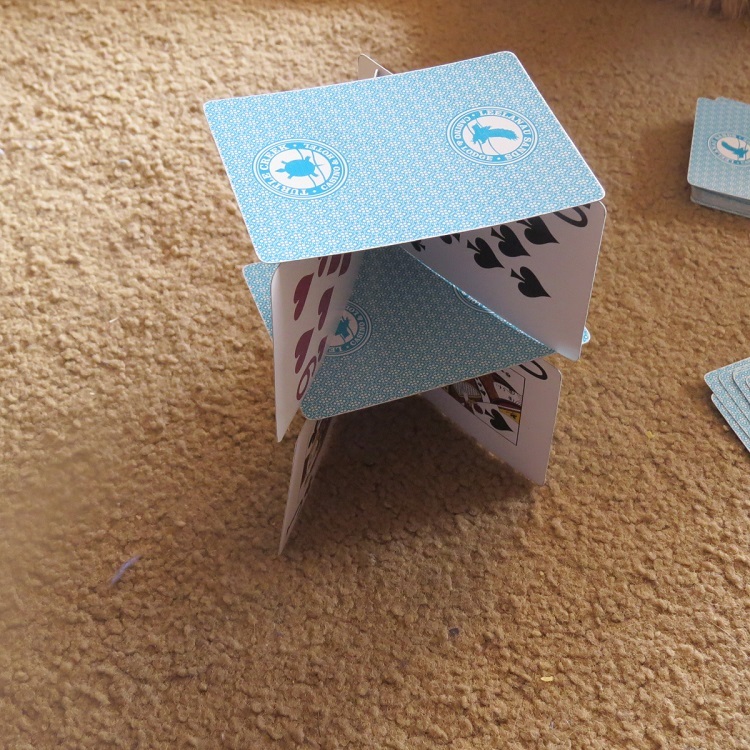 In this challenge, students had to build a house of cards with at least two floors using one deck of cards. 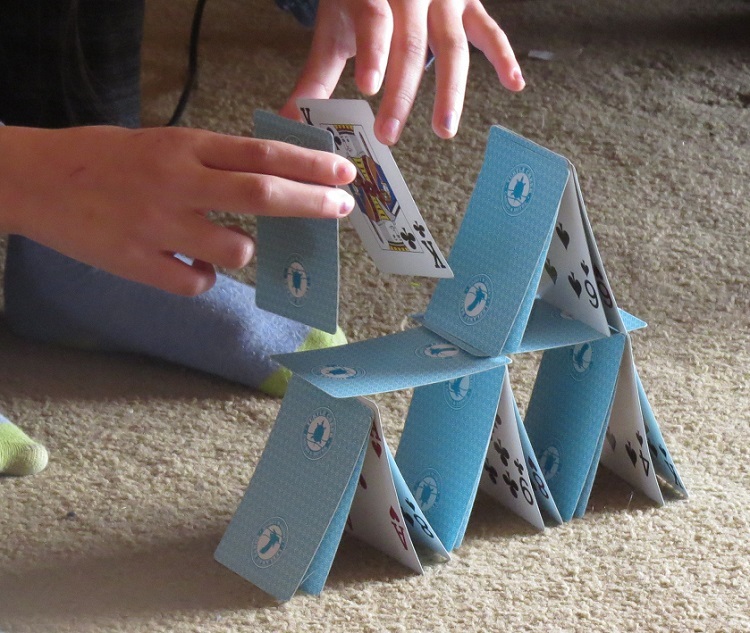 Although this sounds easy, PB & J Girl easily spent 45 minutes building her house of cards. After watching her struggle, I decided to try myself. I found with this kind of challenge, it’s good to be open to trying a variety of techniques and strategies. I think that’s why I like this product so much–it encourages kids to think and act in different ways than they may be used to to solve the challenge. 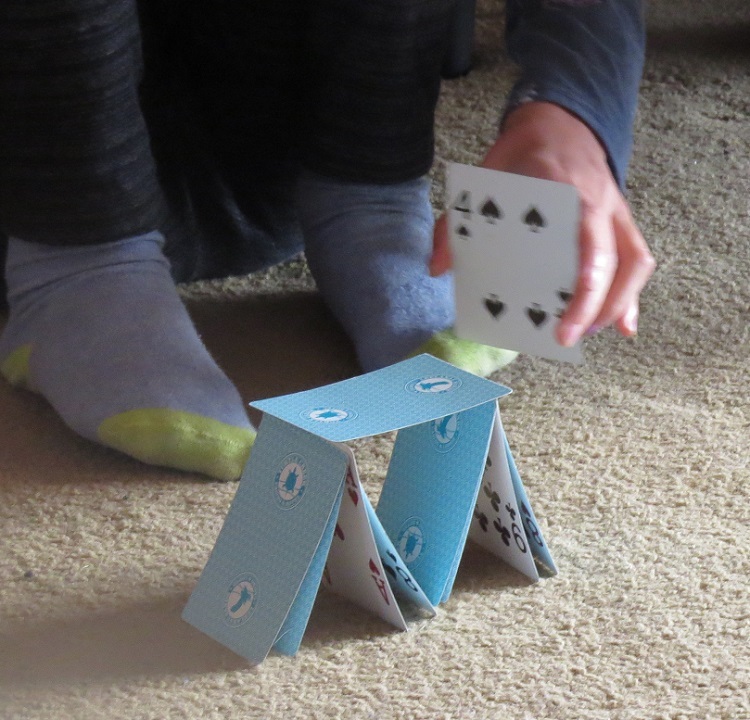 In the end, PB & J Girl and I both got our house of cards built, but in two different ways. What I loved about the challenges is that we would use them as a way to relax or unwind. So even though she was learning, doing the activities didn’t feel like “school”. If you want to incorporate more STEM activities in your school day or you just have a hands on learner like I do, I highly recommend this activity pack.